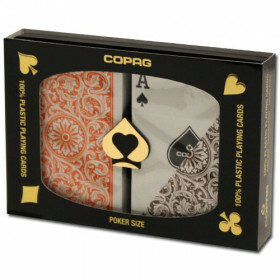 The COPAG Aldrava plastic playing card set comes from COPAG's Gold Line and combines stunning looks with quality and durability. 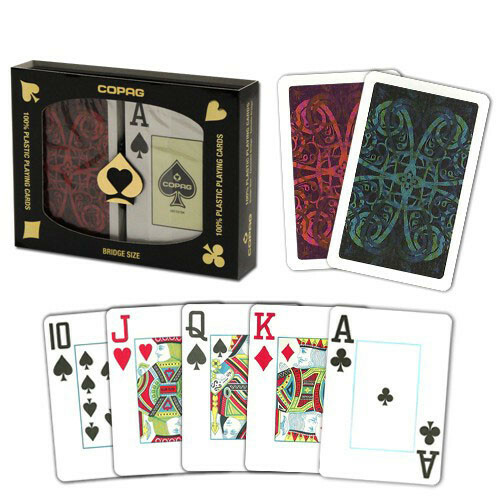 Buy this 2-deck Blue and Red special edition set today.The cards are bridge size (2.25" x 3.5"), have a jumbo index (larger numbers) for easy play, and come in a plastic protective case. 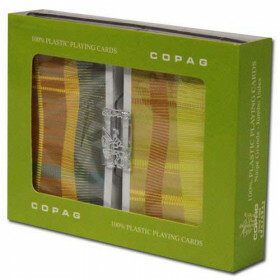 Get yourself a set of these stunning, high quality plastic playing cards from COPAG. 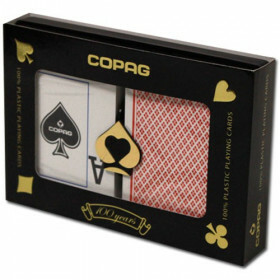 The Aldrava comes from COPAG's Gold Line of playing cards, and are simply the best of the best. 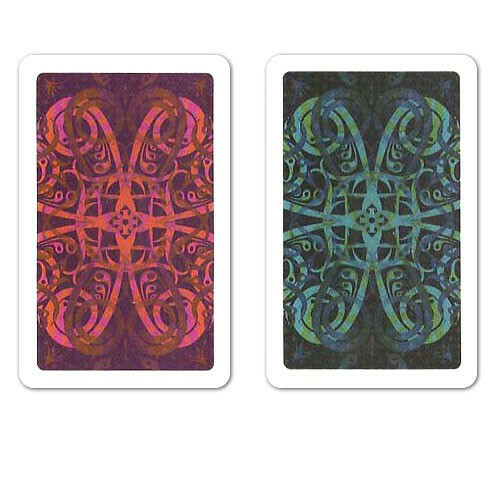 These cards look incredible and get noticed! 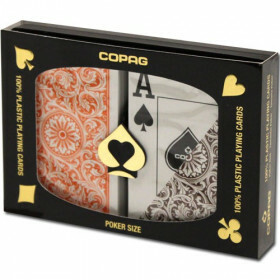 It's not just that these cards look great, they come with the high quality and lasting durability that you have come to expect from COPAG. 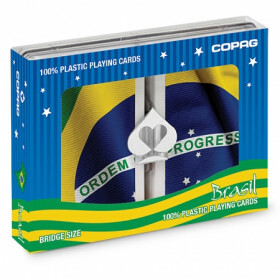 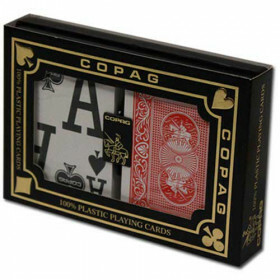 COPAG plastic playing cards will last up to 50 times longer than cheaper paper-based playing cards and are favored by professionals around the world. 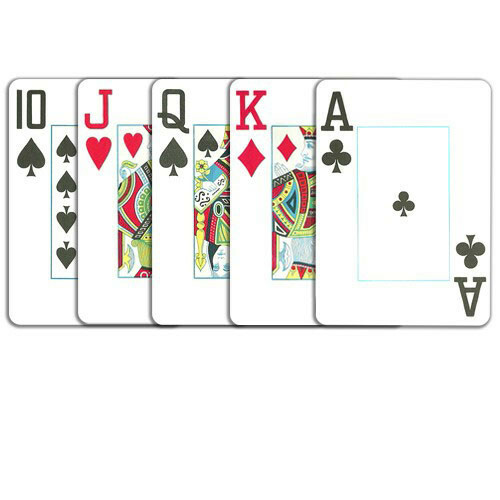 The cards resist tears, creases, and are washable so your set will look great for a long time.